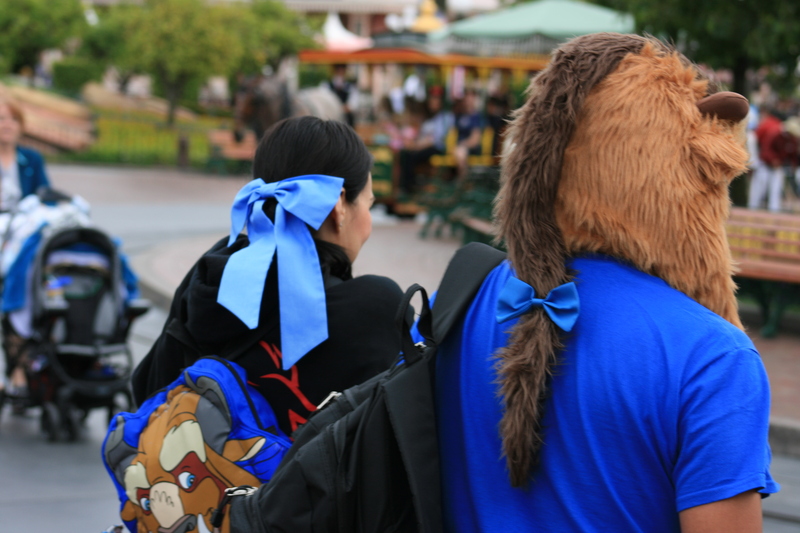 Spend a Magical Morning Participating in the 2015 CHOC “Walk in the Park” at The Disneyland Resort! 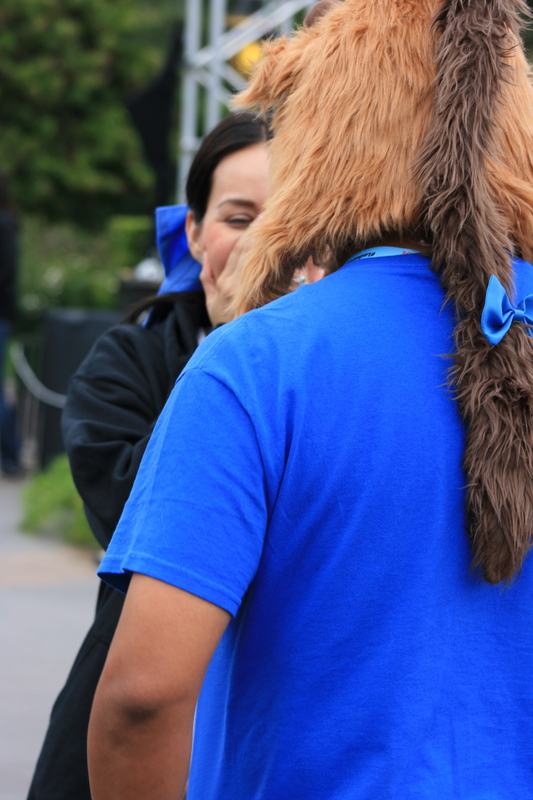 It was such an honor to be part of the 24th Annual CHOC “Walk in the Park” at The Disneyland Resort last year that we’re participating in it again this year! 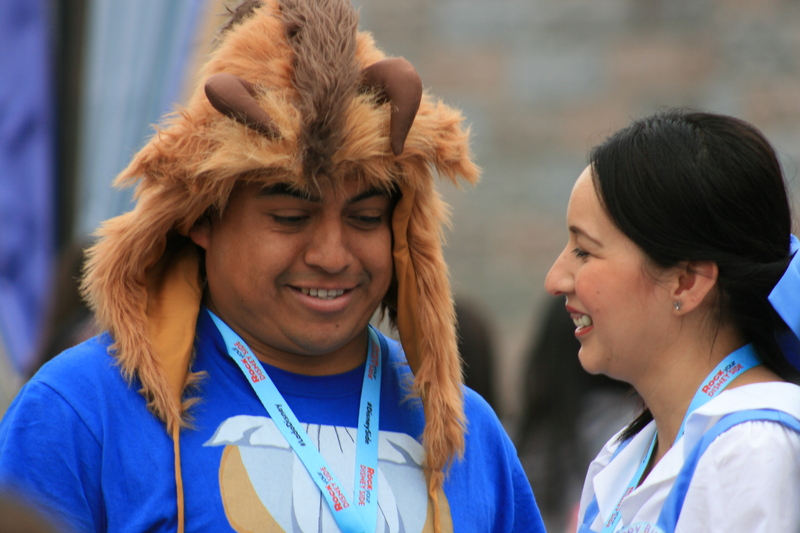 In 2014, 16,000 walkers who came out to walk for the children and, as a result, over 2 million dollars was raised. The monies go straight towards helping fund care, family services, education, and research that CHOC provides for so many. As a teacher who is local to the CHOC area, I have know many families who have received services there, regardless of their family’s ability to pay. It’s a pretty amazing place! CHOC “Walk in the Park”, presented by the Disneyland Resort, is the largest, most unique single pediatric walk event in the nation. This year’s event will be held the morning of Sunday, October 11 and is expected to draw an estimated 15,000 participants from the U.S., Canada, Mexico, Australia and Japan. (I think it’s going to exceed last year’s number.) More exciting news is that the CHOC Walk is celebrating its 25th silver anniversary this year simultaneously with the Disneyland Resort’s Diamond Celebration. There are a few different ways that YOU can help! First of all, you can participate in the CHOC Walk, yourself. 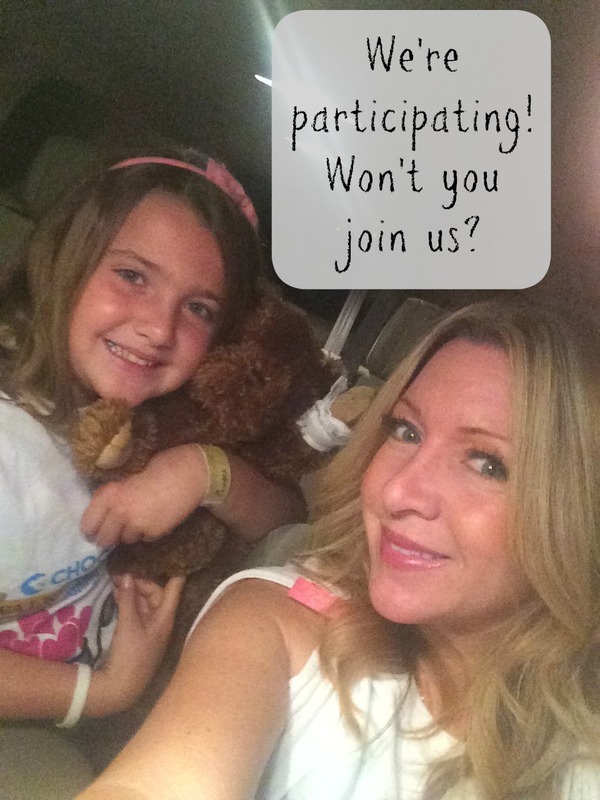 Grab your friends, grab your family, even grab some of your Instagram followers, and join in! There aren’t many things that can drag an adult out of bed this early on a weekend. You’ll be beyond touched when you are surrounded by the crowd. I shed quite a few tears during the event. You’ll see so many families walking together as a way to say “thank you” to the doctors and nurses at CHOC, as well as honor their loved ones who have been patients there. 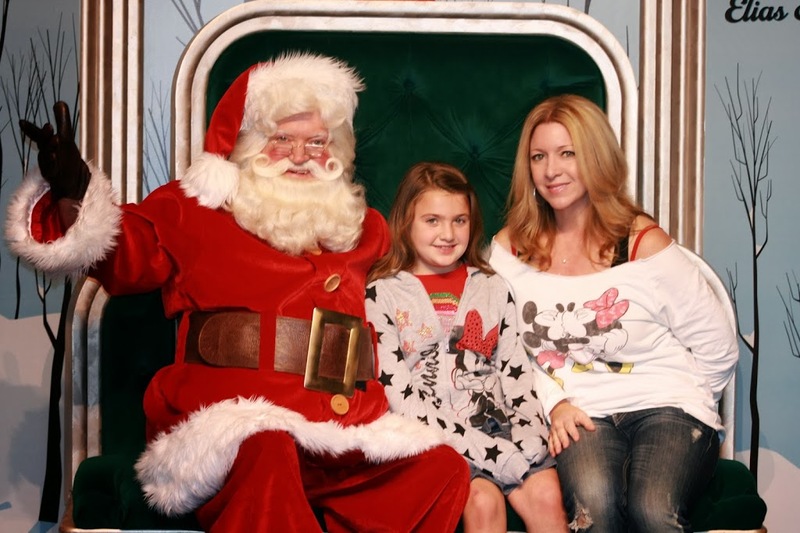 It’s an experience I highly recommend, especially something to include your own child(ren) in. Also, getting to walk inside of Disneyland and Disney’s California Adventure before opening hours is something you can’t even pay to do! It’s a magical experience. Trust me when I say that The Disneyland Resort will have lots of surprises awaiting the CHOC Walkers because they just don’t disappoint. 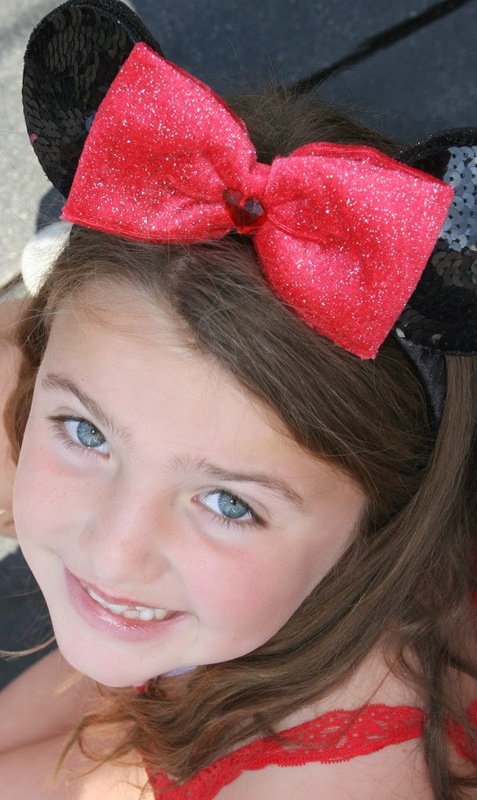 To register as individual or find a team to walk with for CHOC Walk, click here. 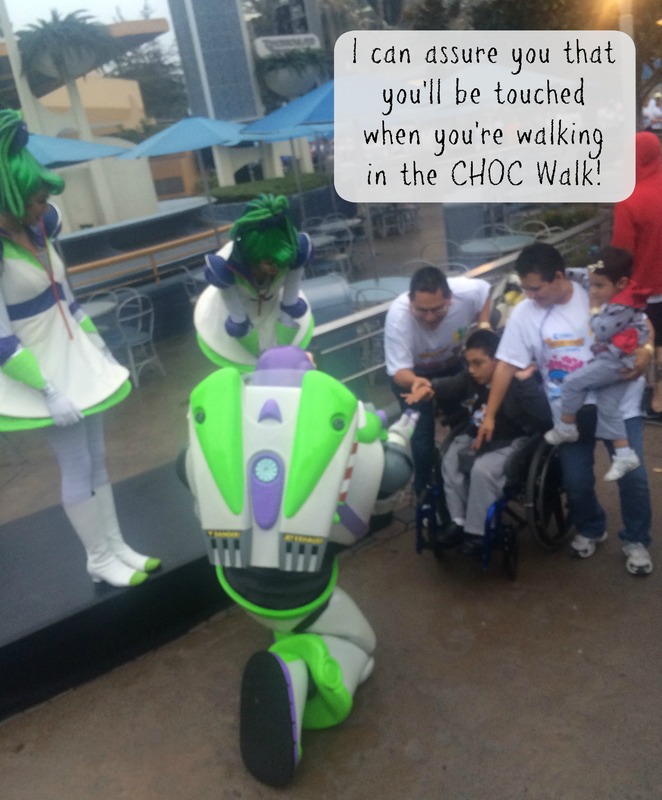 Each year, the CHOC Walk features a special ambassador. This year’s CHOC Walk ambassador is Mac Christman. Read more about Mac’s story here. 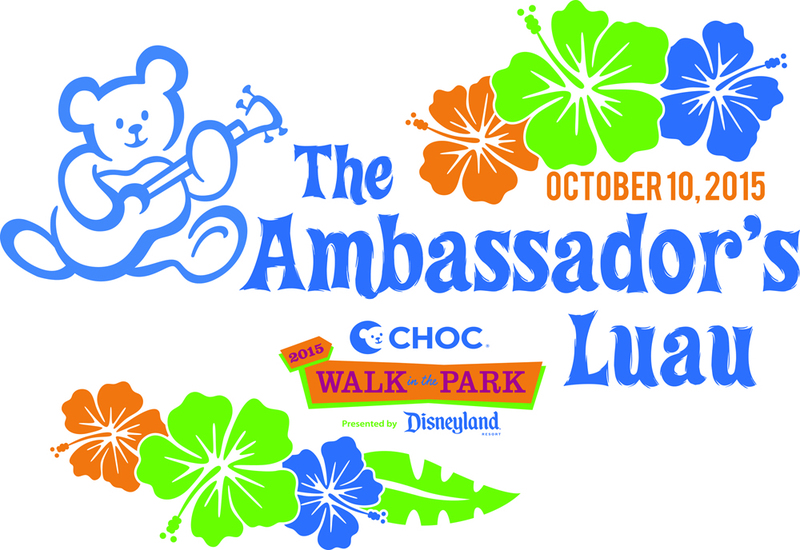 As part of this year’s event, CHOC Children’s is hosting its first CHOC Walk Ambassador’s Luau on Saturday, October 10, 2015, from 4:30 to 7:30 p.m., in the Grand Ballroom of the Disneyland Hotel. The CHOC Walk Ambassador’s Luau promises to be a fun-filled afternoon for the whole family that will take place the day before the CHOC “Walk in the Park,” presented by the Disneyland Resort. For more information about this special event and to purchase tickets, click here. 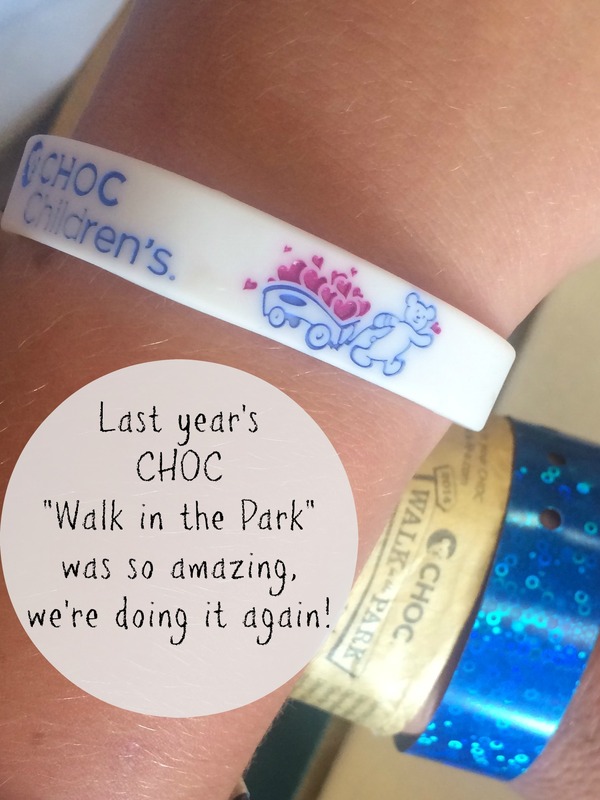 Another way for people to support the event is to register for the Walk as a “Sleeping Bear.” This special designation allows CHOC supporters who cannot make it on Walk day to still raise money and support CHOC Children’s. “Sleeping Bears” receive a CHOC Walk T-shirt and are eligible to earn prizes from their fundraising efforts. For more information about how to register as a “Sleeping Bear”, click here. 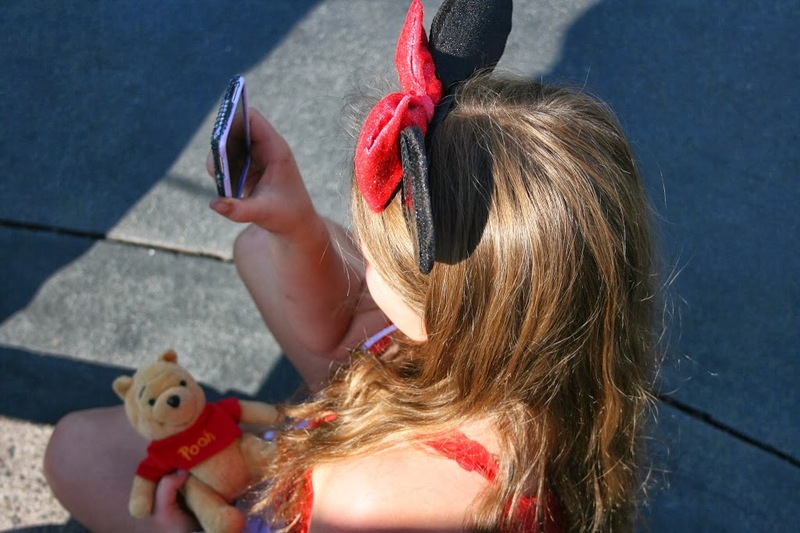 There are so many ways you can show support for CHOC Walk! We’re participating again this year to show our own support. Won’t you join us? Learn more about this year’s event, register, or donate, click here. 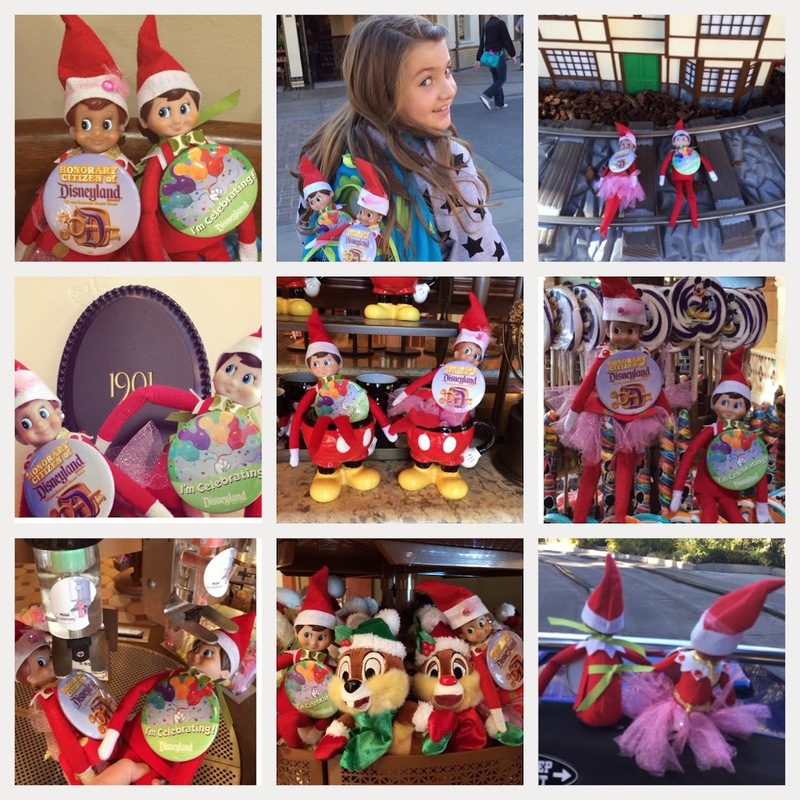 Connect with CHOC Walk in the Park on Facebook, Twitter, and Instagram. This is not a sponsored post. All opinions are 100% my own. Logo images property of CHOC and Disneyland Resort. Guess what’s returning to the Disneyland Resort on September 11? Halloween Time! We are SO excited for it’s return too! If you’ve never been to the parks during Halloween Time, it’s something you’ll want to make happen this year. With the Disneyland Resort’s Diamond Celebration already happening in the parks this year, guests will get to enjoy extra sparkly Halloween decorations this year. 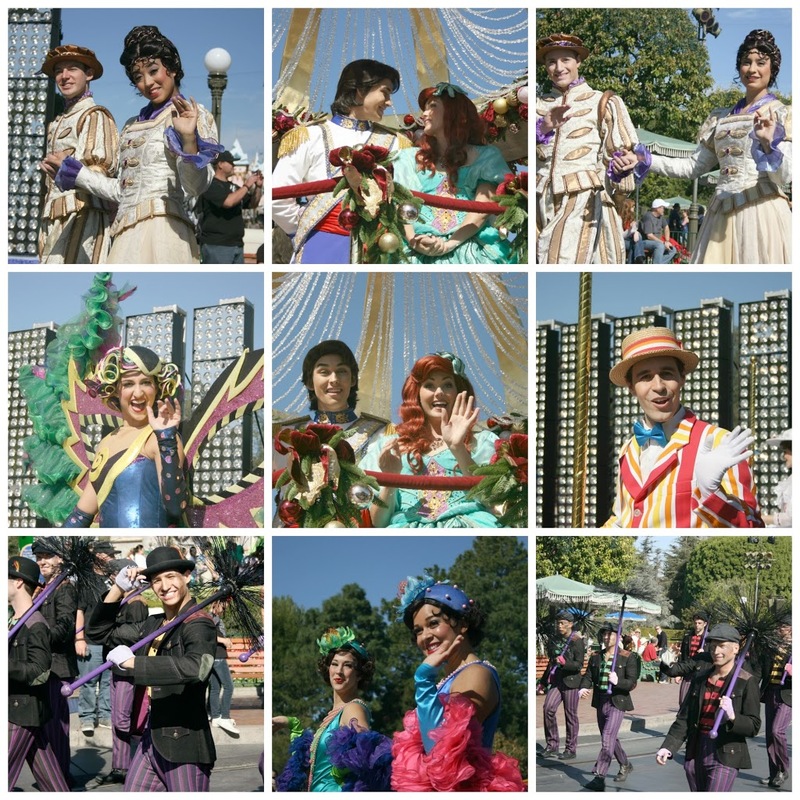 There are also seasonal attractions to experience such as Haunted Mansion Holiday and Space Mountain’s “Ghost Galaxy”. 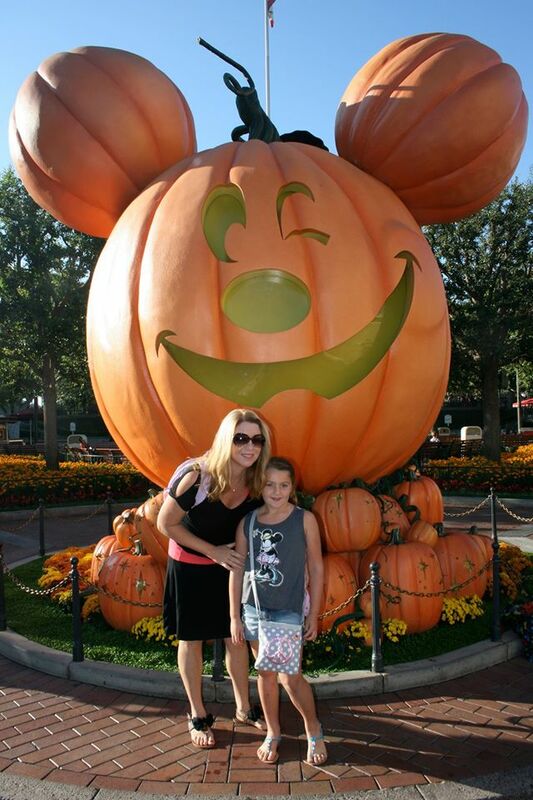 One of the biggest events of the year at the Disneyland Resort is Mickey’s Halloween Party! This is an after-hours Halloween party that requires the purchase of a separate ticket. (don’t worry, it’s totally worth it!) 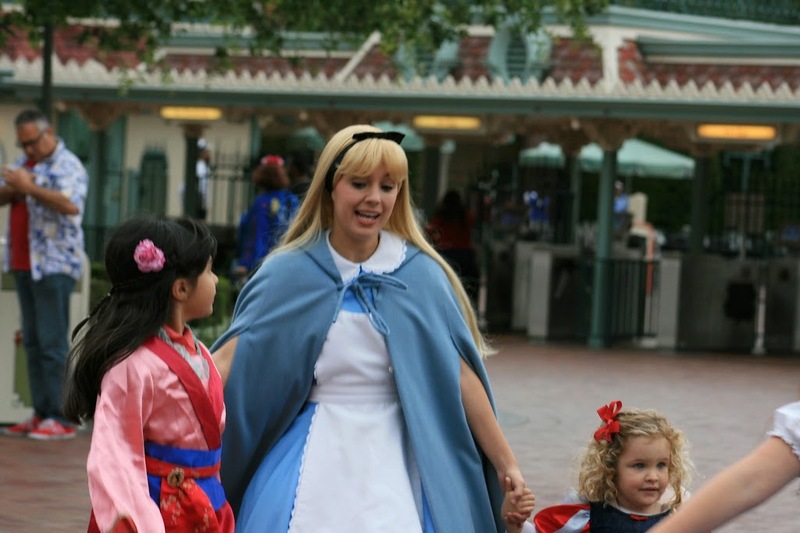 The party is held inside Disneyland and guests of all ages are invited to wear their favorite costumes for the occasion. 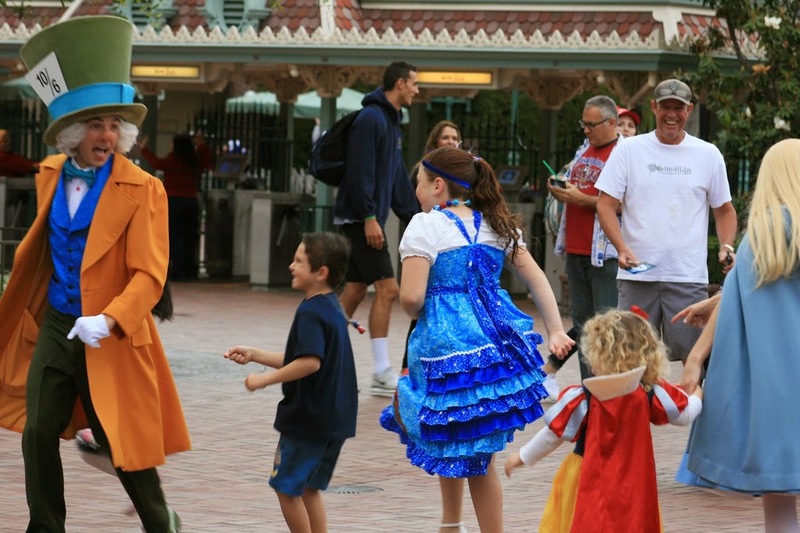 There is plenty of trick or treating throughout the park and the characters will be out and about in their own Halloween costumes. This year, guests in attendance at Mickey’s Halloween party will be able to watch a special “Halloween Screams” fireworks show, in addition to the “Paint the Night” parade. It’s truly a party not to be missed! Tickets for Mickey’s Halloween Party sell out every year and you’ll want to plan now for your date and grab a ticket as soon as they go on sale. This year, you’ll also be able to purchase your Mickey’s Halloween party tickets early on your mobile device. How cool is that? July 22: Ticket sales to Disneyland Resort Annual Passholders, Disney Rewards Visa card holders and Disney Vacation Club members. July 29: Ticket sales begin for the general public. 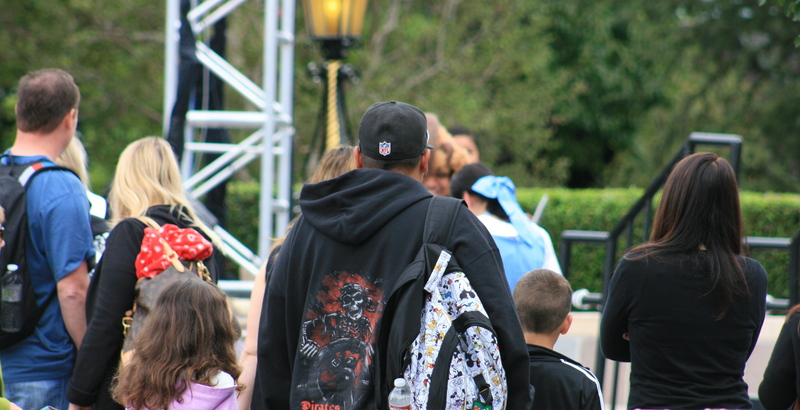 The hours for each day of Mickey’s Halloween Party vary slightly from day to day. The prices also vary. For more information about times and ticket prices, visit the official Disney site here. We’re Doing CHOC Walk at The Disneyland Resort! I’m excited to share with everyone that Emi and I will be doing the CHOC Walk in the Park on October 12th this year for our first time. 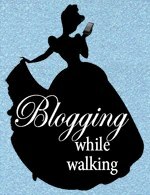 We’ll be participating as part of the Blogging While Walking Team! 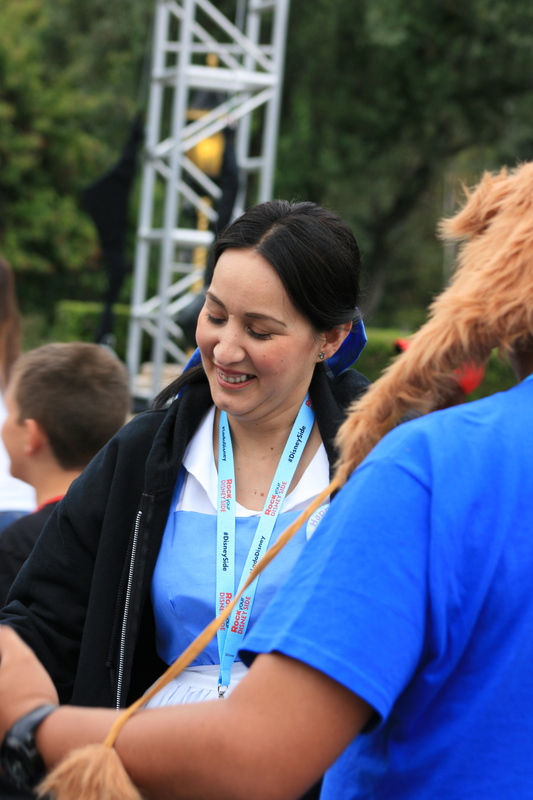 The 23rd Annual CHOC Walk will be held at The Disneyland Resort, and will go through both parks and Downtown Disney. This is a wonderful opportunity for people (like us) to help raise money which goes towards health care programs and medical research for CHOC. Emi and I would LOVE it if you would consider sponsoring us for the CHOC Walk so we can reach our goal. No donation is too small and every little bit helps. To donate to our team, just click here! We thank you in advance. We’re so excited to be participating in something that benefits such a great cause. 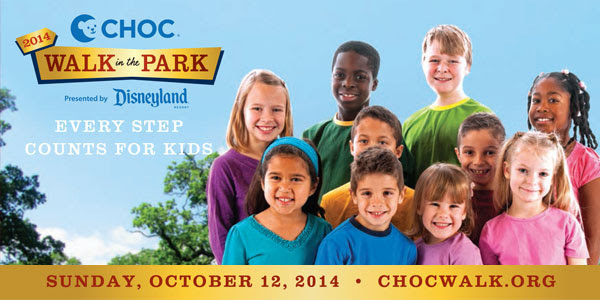 To read more about the 23rd Annual CHOC Walk in the Park, click here. I was just going through my pictures from Disney’s Rock Your Disney Side 24-hour event back in May, when I came across some that I totally forgot about. As Emi and I were walking around that day, I had my camera out and ready to snap pics. Just as we approached Sleeping Beauty’s Castle, there were a bunch of people standing around and I witnessed the end of an engagement! 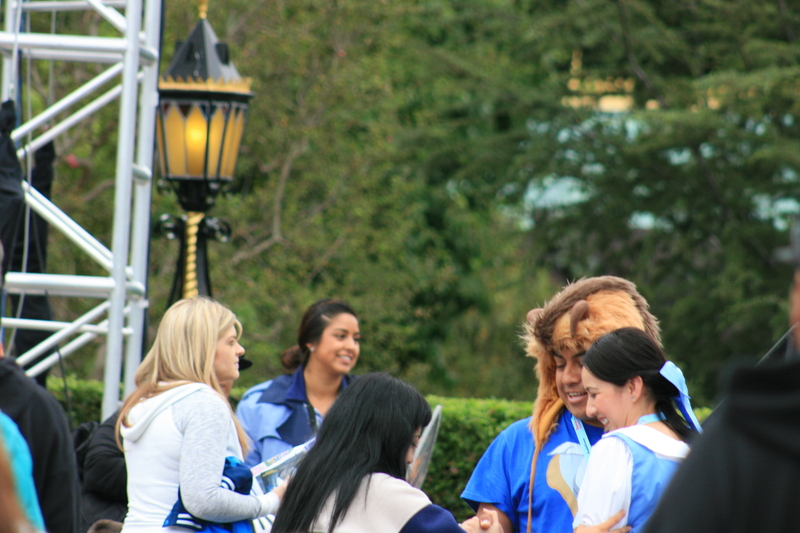 This adorable couple, dressed as Belle and Beast, was in the center of the crowd. I knew something special was happening so I started snapping pics. Emi totally missed it but I got a few. They seemed very shy and although the PhotoPass people took some pics, I think it was just really quick and then they were done. I never got to chase after them to tell them I caught a few of the pics because I felt like I’d be interrupting their moment. I know that no one else caught these other pictures of them though and looking at them again, I see that it was “Belle’s” birthday! 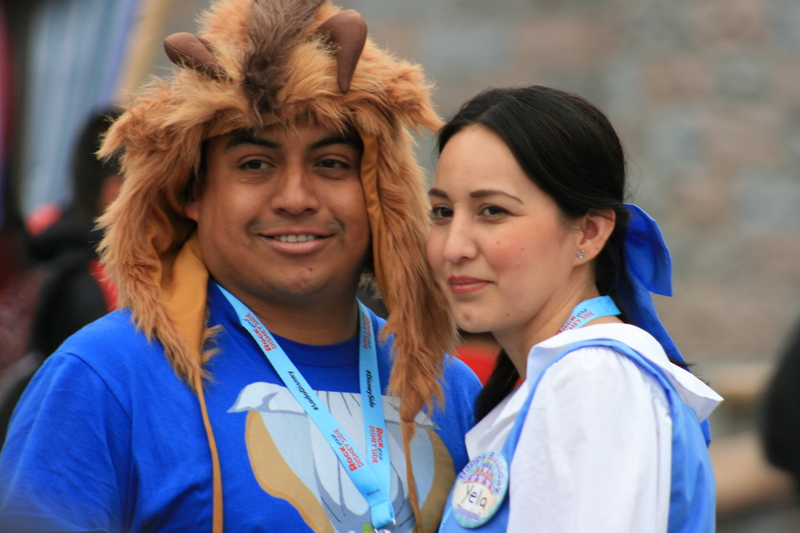 (her name is Yela) I’m guessing he arranged Photopass to snap a castle pic for them, letting her believe it was just for her birthday and then broke out a ring! That’s my best guess, but I’m a total fantasizer! I believe in fairytales! Regardless of the real details, I know that they’d want these pictures, because I know I would if it were me, so I’m determined to find them, so I can give them the pictures! I was tearing up adding these to this post. I think you’ll tear up too! Just look…. This one chokes me up BIG TIME! I think the shock and excitement just settled in here! 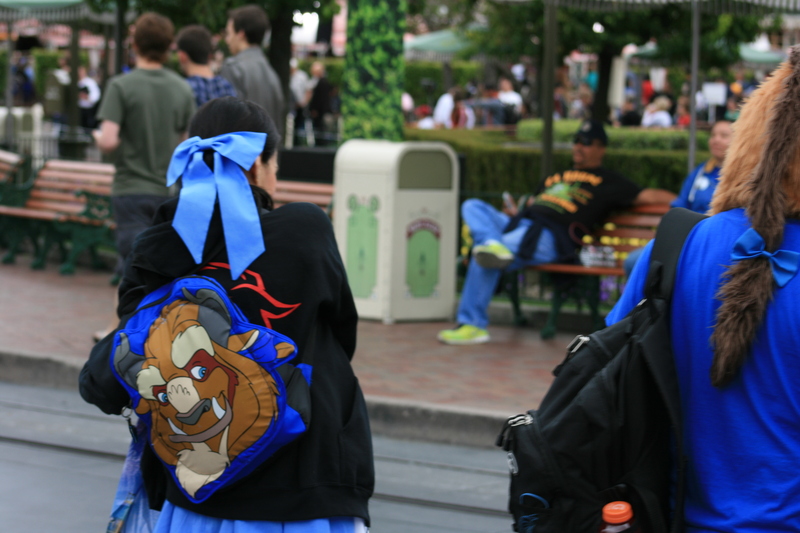 I love her backpack! It’s him! As I stood there in shock, they just walked away. I was too frozen to bother them in the middle of their moment! 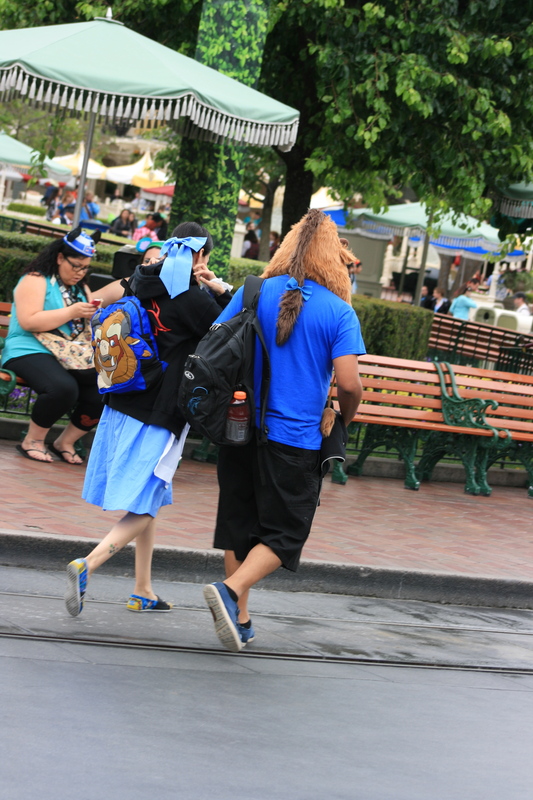 So… I’m going to rely on social media to help me find Belle and Beast…because I know how powerful social media can be! I also know that if I had gotten engaged like this, I’d want these pictures for my own keepsakes. Sorry guys but I think this guy just set the bar really high! Do you know them? If not, please help spread the word! 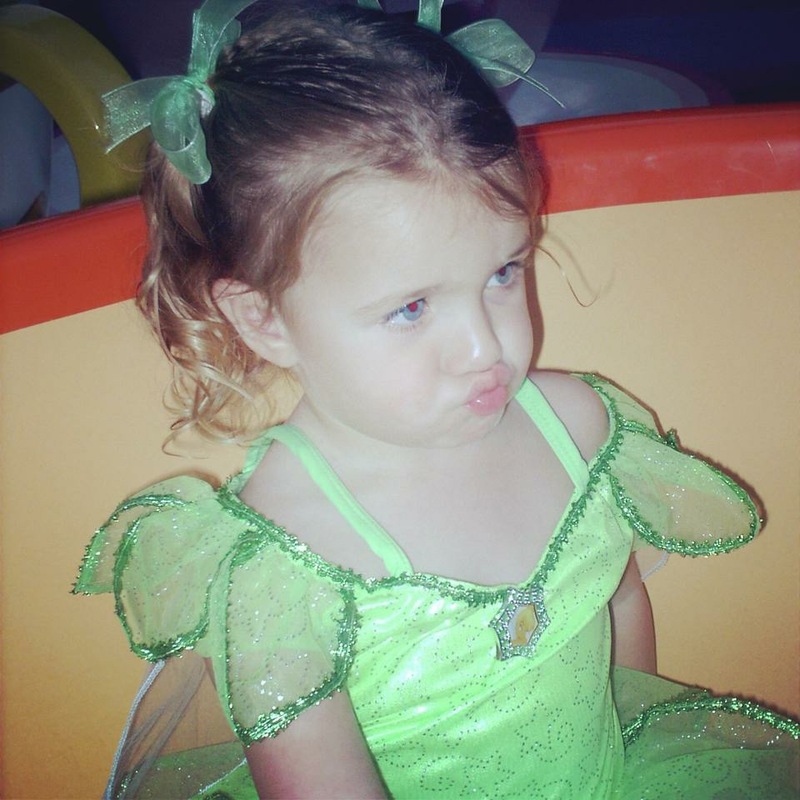 I originally planned on arriving at The Disneyland Resort around 5 a.m. but waking up Emily was a little more difficult than I anticipated. We still made it by 6:30 a.m., which actually turned out a little bit better for us, because those initial crowds were already inside of the parks. We parked in the Mickey & Friends parking structure and that’s where the Magic started for the day! Emi had a HUGE smile on her face after the CM gave her these. 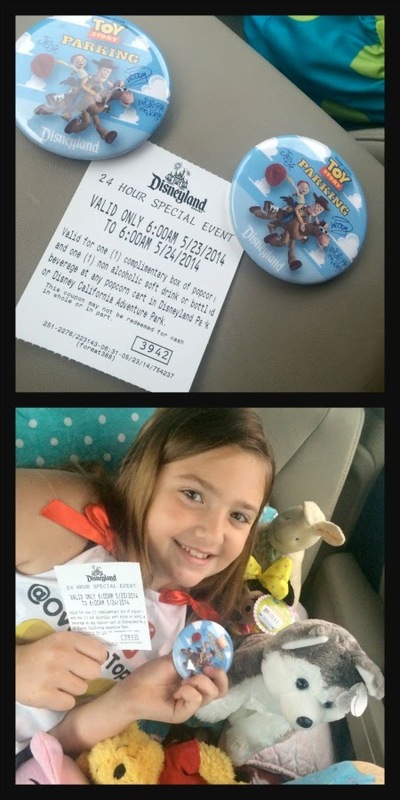 Disney even offered carpooling perks for guests carpooling to the event! Here we are going down the escalator to the tram…at 6 a.m.! The parking structure didn’t seem very crowded nor were the trams. After exiting the tram and going through the security bag check, we spotted the media area in the Esplanade with sand sculptures in it. As we walked towards the giant Olaf sand sculpture, we were both in awe of its beauty. 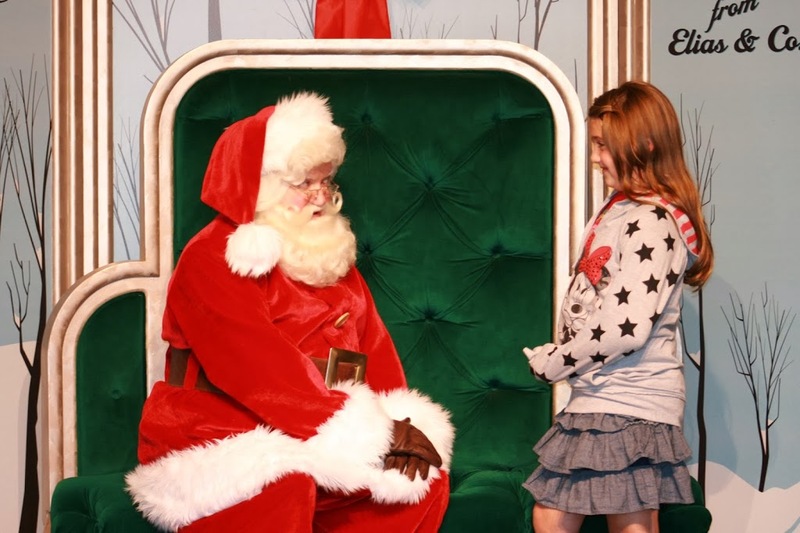 Clearly we had no idea there was an even better surprise over there! At this point I was already overjoyed about our day and it was only 6:45 a.m.! We chose to start our day in the parks inside Disneyland. I loved walking in and seeing Alice and Mad Hatter dancing in the entryway with some children to the music of The Disneyland Band. I loved being inside Disneyland this early in the morning because there were still lights on that you’d normally only see at night and it just feels like you’re getting a view of Disneyland that you normally would never get during a regular visit. I loved seeing all of the guests in costumes. I already loved the ambiance. I think I loved a lot of things that day! 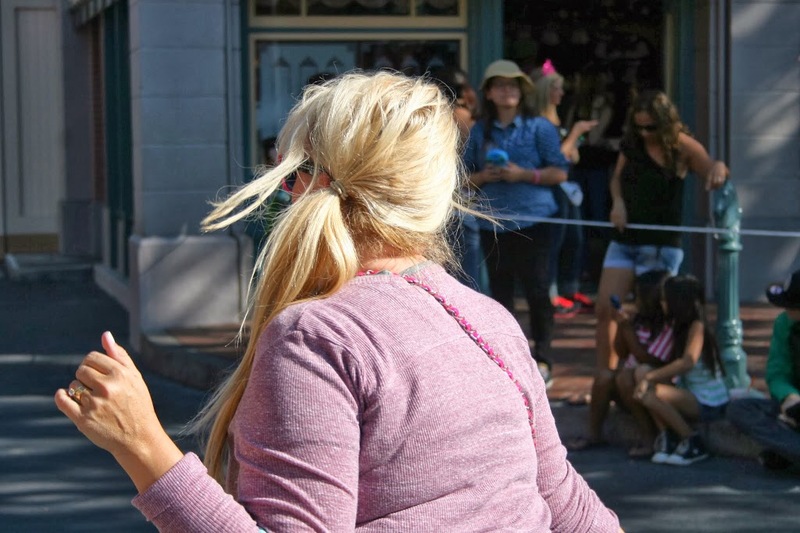 As Emi and I walked down Main Street, U.S.A., we just kept running into social media friends. First we saw our friend Caryn from Rockin’ Mama and we got to meet Heather from It’s a Lovely Life and Nicole from Presley’s Pantry too. Next we spotted Pattie from Living Mi Vida Loca, who was channeling her inner Snow White. Then we got to sit for a little while on the patio of The Jolly Holiday and have coffee with Liz from Family is Familia! We LOVED our Maleficent buttons that they gave us at the Main Gate! A little later it was time for some fun in Fantasyland. Surprisingly, the lines weren’t very long. 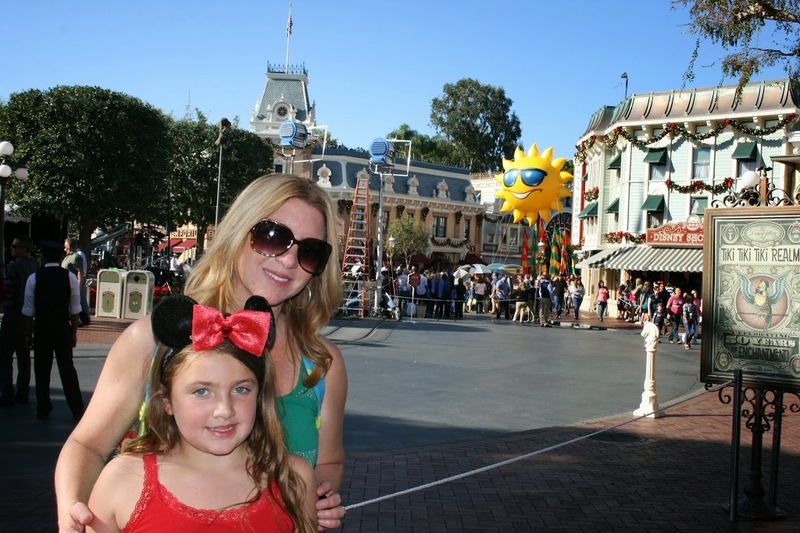 Emi and I have several mandatory things we must do in Fantasyland each time we visit Disneyland. 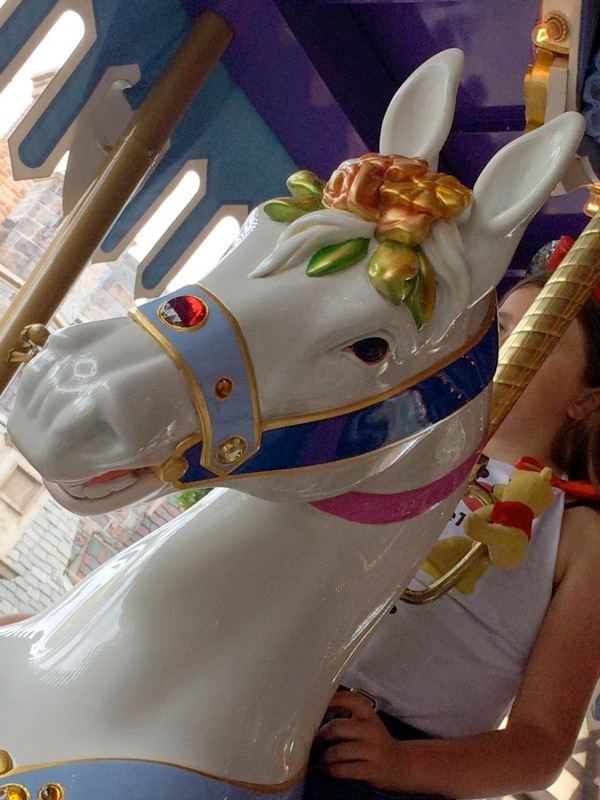 Some of them include a ride on King Arthur’s Carousel (specifically on Jingles), a ride in the caboose of Casey Jr. 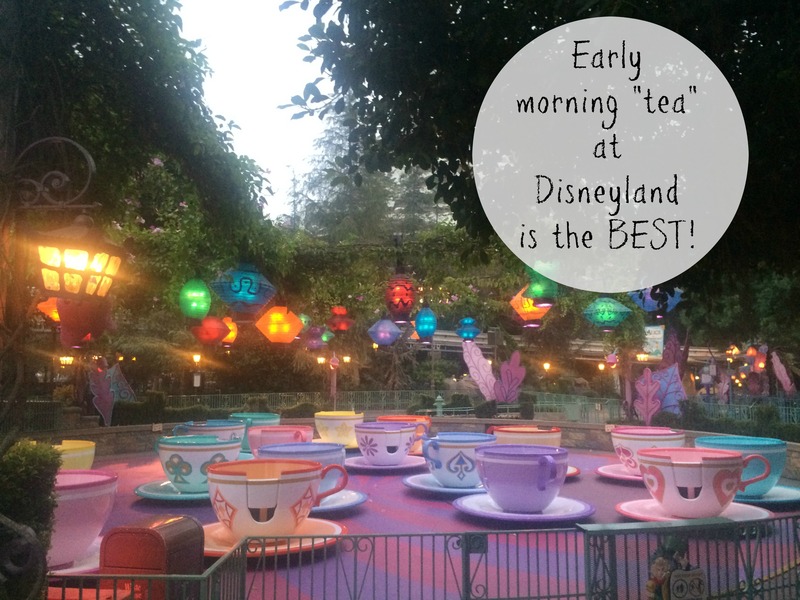 Circus Train, and a spin in the blue tea cup over at Mad Tea Party. 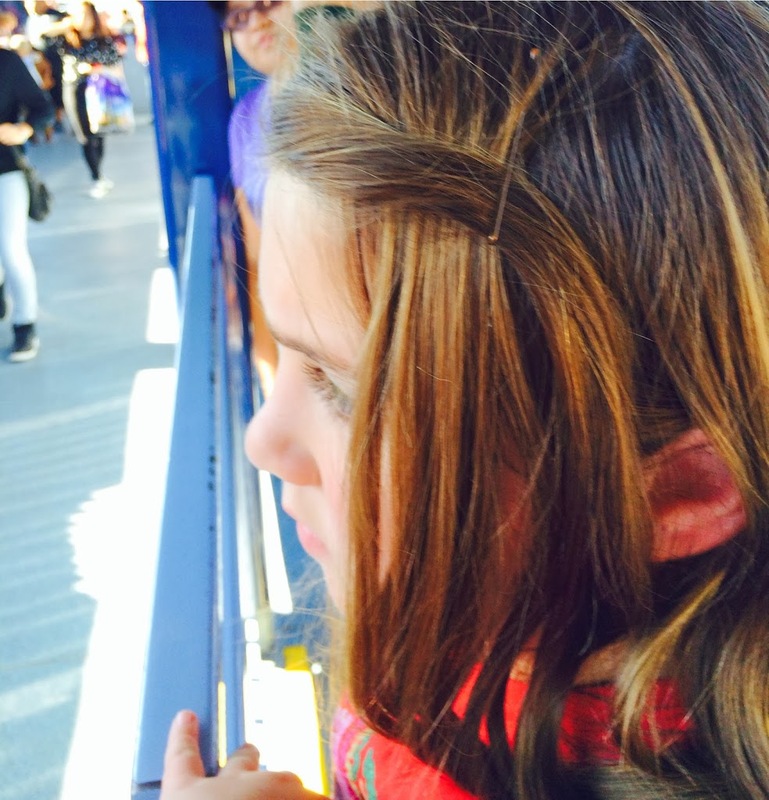 From Fantasyland we strolled over to Big Thunder Ranch to visit the animals. We have a special bond with the goats and sheep over there, and taking pics and selfies with them has just become something necessary for us on each visit. We’re even starting to know each one by name. (you can learn their names from the tags on their collars). 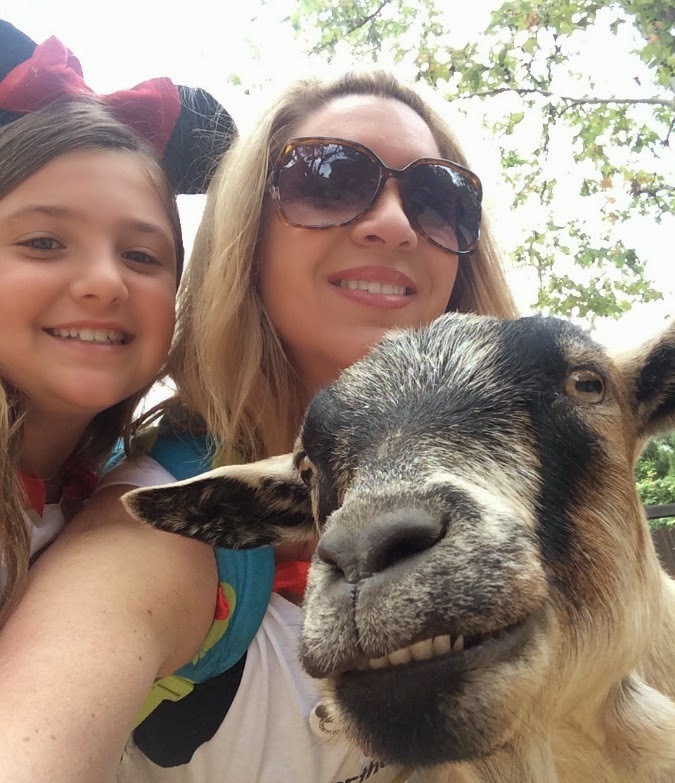 I’m convinced that the Disney goats have actually learned how to pose for a properly for photo. What do you think? 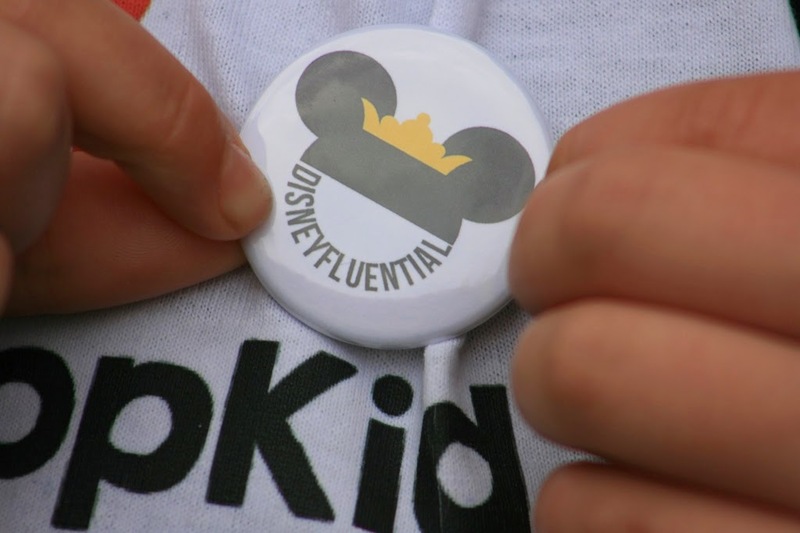 We were fortunate enough to run into the ladies behind Disneyfluentials while we were there and got one of their cool buttons! We also got to watch an interview they did with one of the goats. You HAVE TO check out that hilarious interview below! 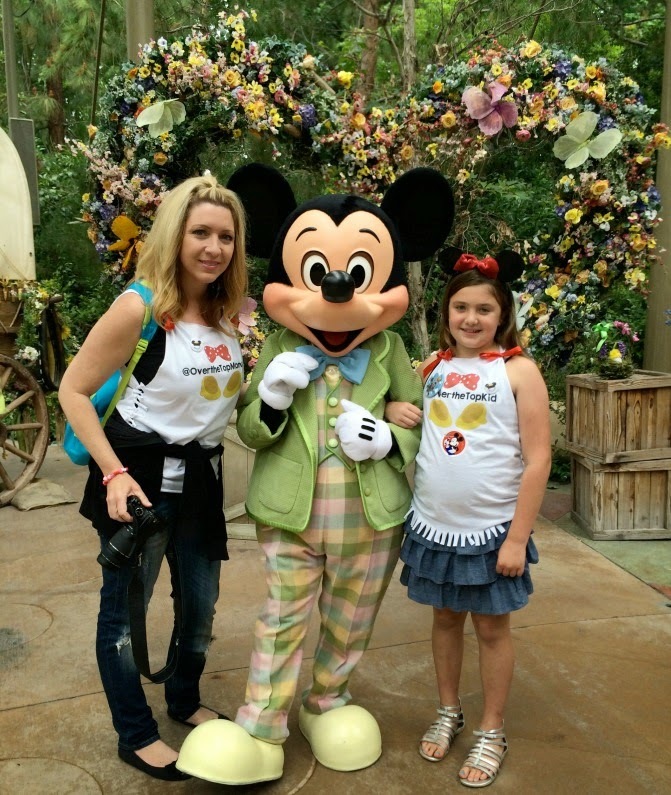 I love how festive Mickey is in his Spring suit! All of the socializing really made us work up an appetite, so we cruised over to Stage Door Cafe next. 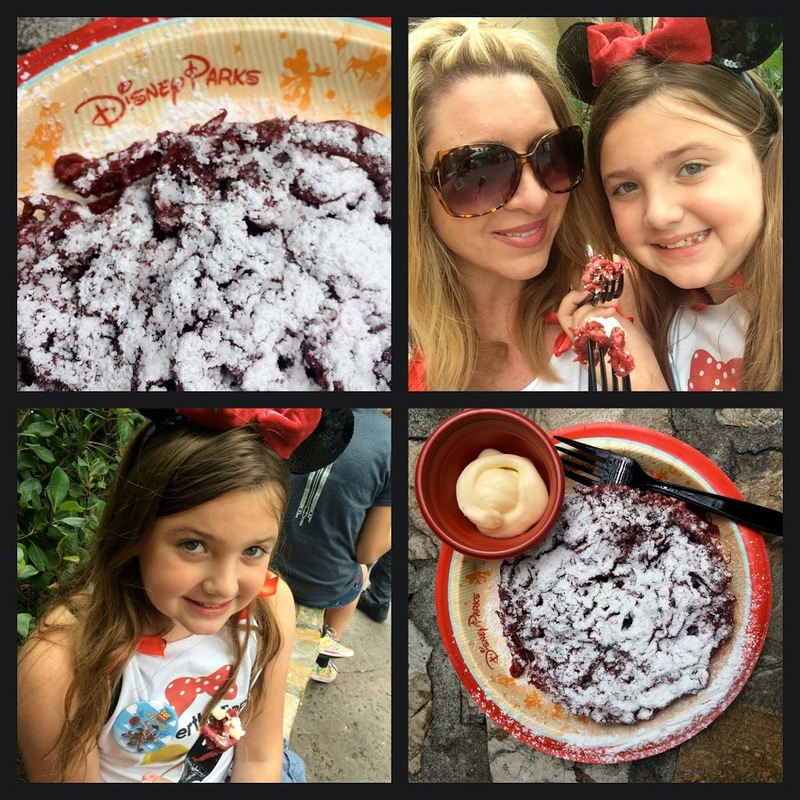 We were on a mission to try the Red Velvet Funnel cake, which was offered exclusively for the Disney 24 event! After one bite, it was like…..WOW!!! We were fighting over who was getting bigger bites and who was eating more of the cream cheese frosting! Sometimes it’s just hard to share! We headed over to ride Big Thunder Mountain Railroad next but the line was a little longer than we were prepared to wait, so we just grabbed a fast pass for each of us. 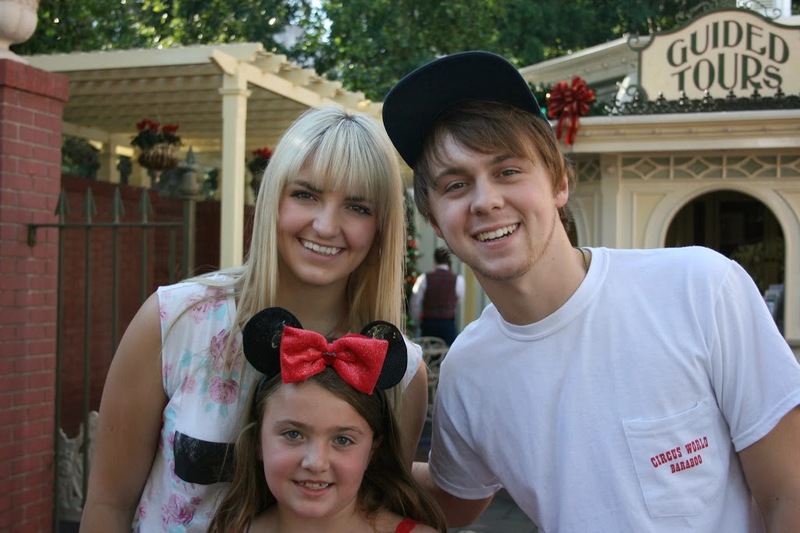 This is when we ran into The Disney Sisters! I’m telling you, it was a super social media day and, although we had never gotten to meet in person, it was fun to chit chat with them for a little while! I feel like we did so much walking, talking, eating and tweeting all day long until we found ourselves in the early evening. Emi and I were both exhausted but neither of us was willing to admit it to the other one. 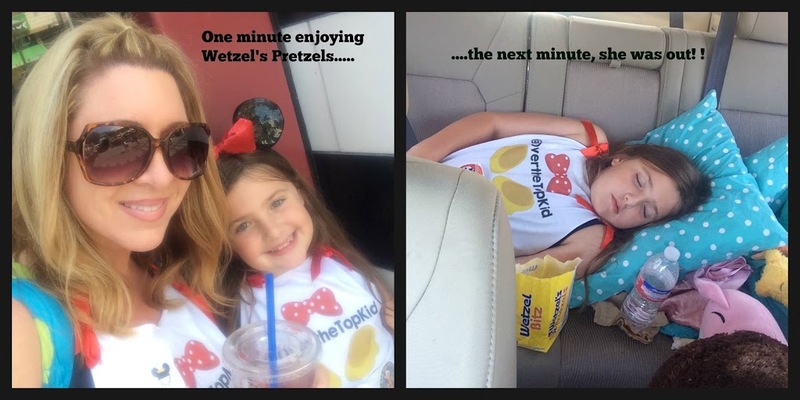 We decided to take a walk into Downtown Disney for a little while to break up our day and re-energize with a Frozen Strawberry Lemonade and some Cinnamon Bits at Wetzel’s Pretzels. As soon as we both sat down, outside of Wetzel’s Pretzels, I think I knew what was going to follow. 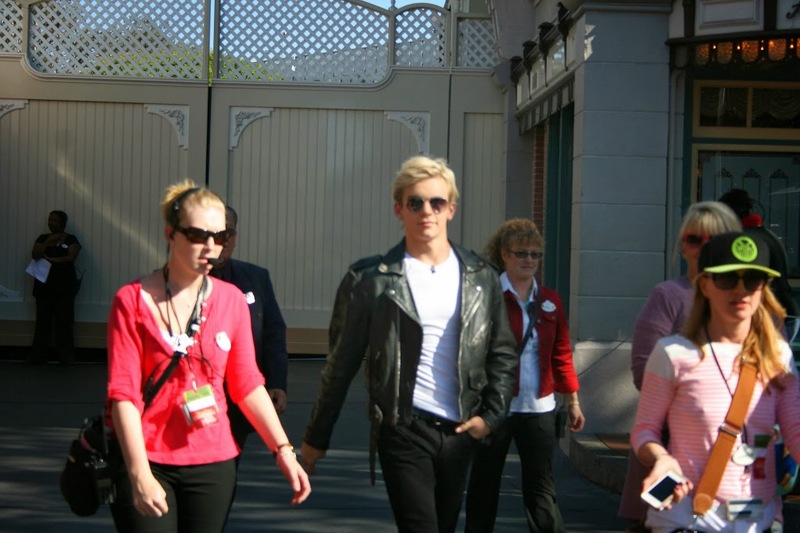 We were both exhausted and I don’t think either of us had any energy to walk back to the parks. I felt like we accomplished a lot in the 13 hours that we did rally that day! 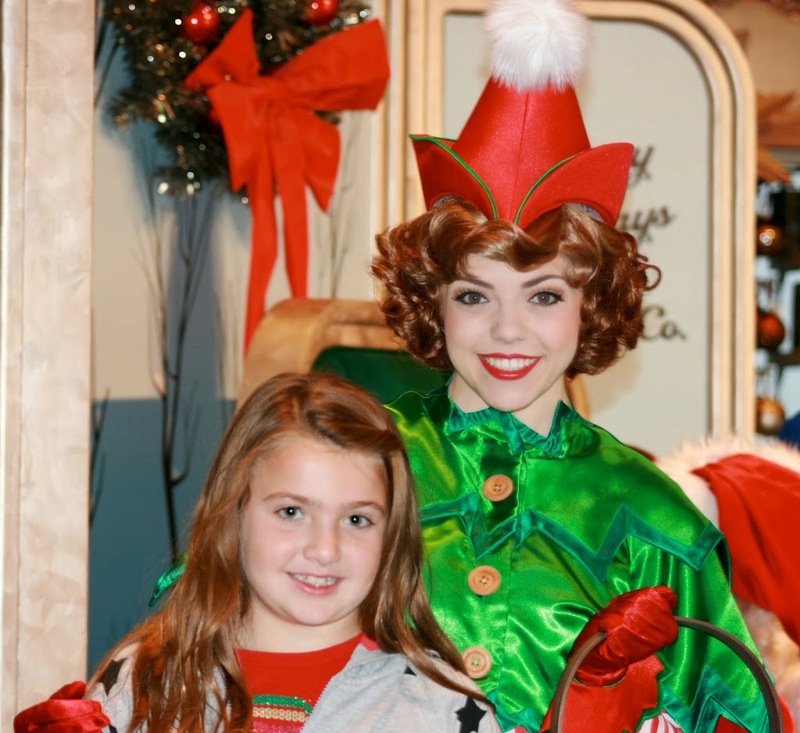 Honestly, it was one of the BEST days we’ve had at The Disneyland Resort! 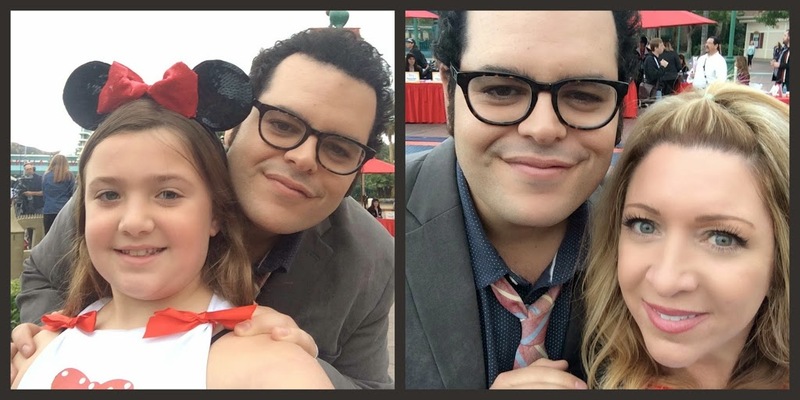 We saw so many of our friends and got to do so much and let’s not forget, WE MET JOSH GAD!!!! I think THAT one is going to be hard to top! Are you ready for my grand finale shot? Here ya go………. 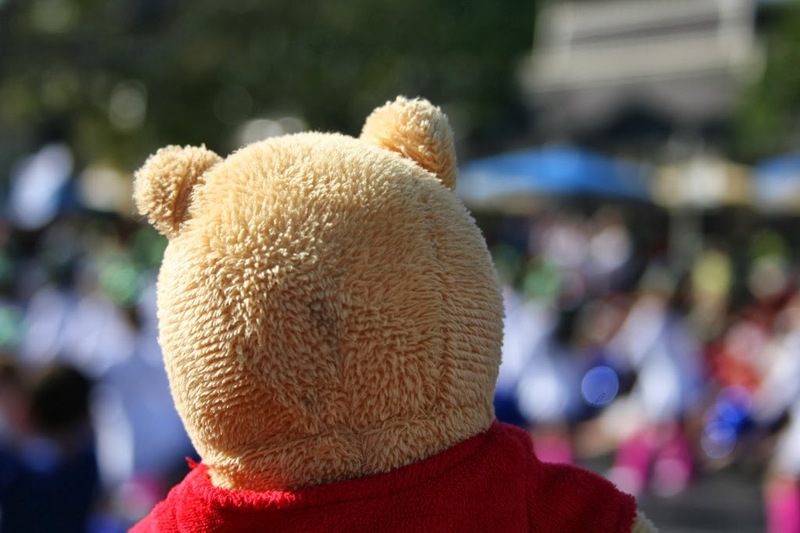 Should YOU attend the next 24-hour event that Disney has? TOTALLY! Ready for Some Fun at Disney’s #RockYourDisneySide 24-Hour Event! Emi and I are so excited about the Rock Your Disney Side 24-hour event at The Disneyland Resort on May 23, that we’ve been counting how many more sleeps? It’s going to be our first attempt at one of the 24 hour parties. We’ve been doing a lot of pre-planning for the day, referencing the Disney Parks Blog site and a few other favorite blogs who have posted fun and useful tips. I think having a little bit of knowledge ahead of time is going to make a world of difference and being prepared to endure a long day can’t hurt either! 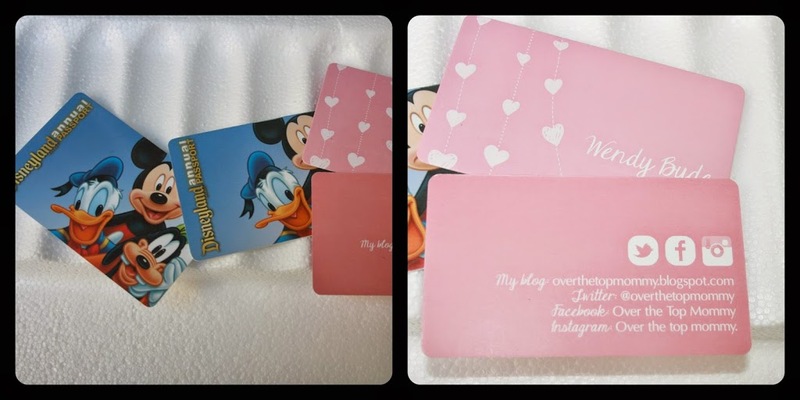 My business cards just go along with my APs in the wallet every trip! You never know who you’ll network with! 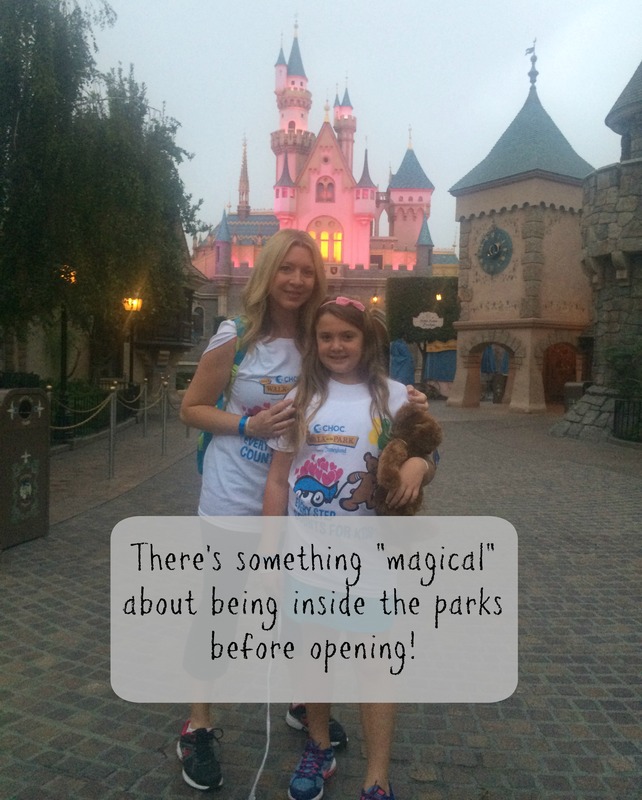 *A backpack-I almost ALWAYS bring a backpack with me, to the parks, so I can carry things like a water bottle, headache medicine, bandaids, sunblock, extra snacks, an autograph book, a pen, my camera, extra clothes for layering, and gum. I’m sure I’m leaving something out, but basically a backpack allows me to have my hands free, which is so much better than carrying a purse! 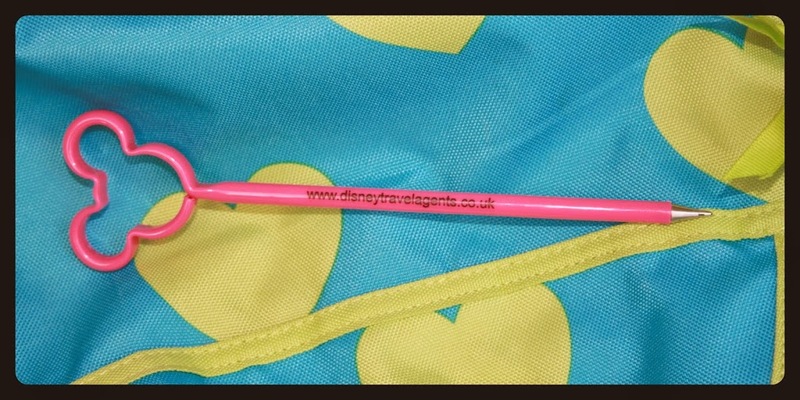 This is my lucky UK Mickey Pen that I got from a Disney friend! 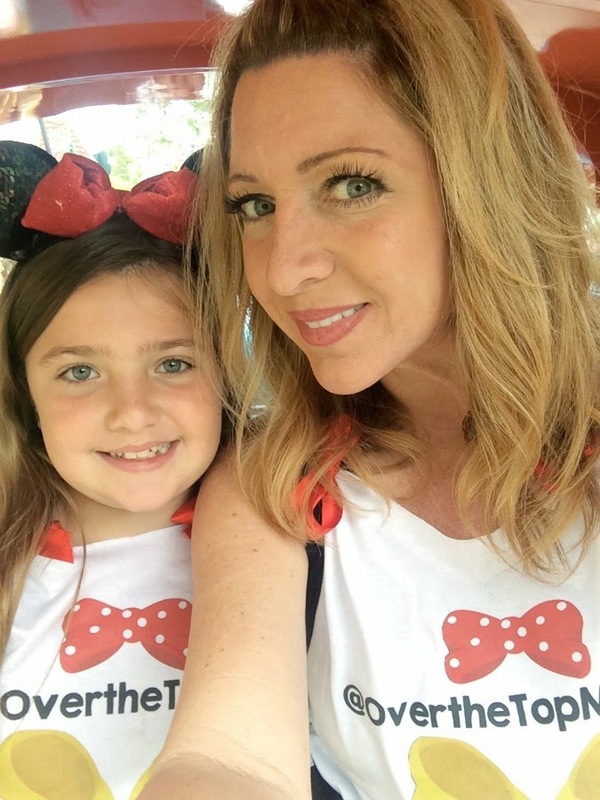 *Coordinating attire-Although we’re not going to the extent of wearing actual costumes, (we’ll save those for Mickey’s Trick or Treat Party) or even DisneyBounding like other park goers, we do love to dress for an occasion and had special shirts made for each of us! Why NOT sport our Twitter handles on a shirt, right? Sending a BIG thank you to The Shirt Cannery in Mission Viejo! They are amazing! 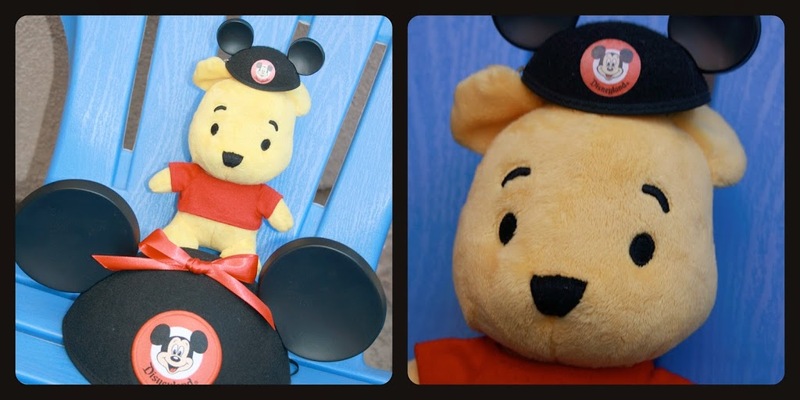 *Pooh-When you are going to be in the parks for an extended amount of time, especially when it’s going to be crowded (or at maximum capacity like they’re predicting), having something like a stuffed friend to play with really helps keep your kid(s) occupied during wait times. They also make for great photo opportunities. Some stuffed friends even have their own Instagram accounts. (Ours doesn’t) Pooh is usually the one Emi likes to bring with us! 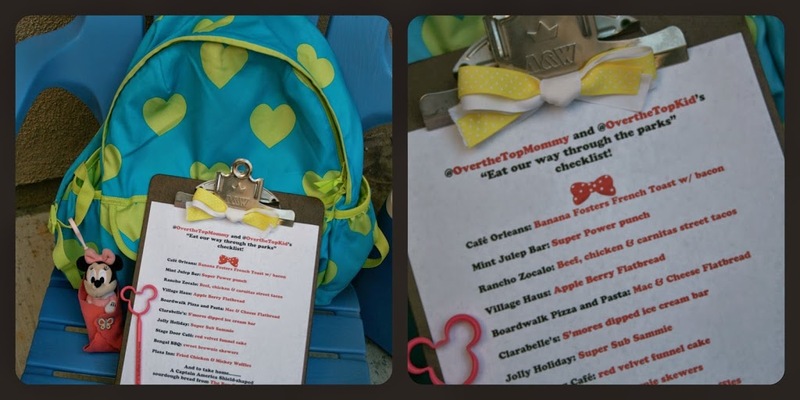 *Our “Eat Our Way Through the Parks” Checklist-Yep, you read that one correctly! Have you read the post on the Disney Parks Blog about all of the special items that they’re going to offer in both parks, exclusively for this event? If you haven’t, then click here. After carefully analyzing all of the items, Emi and I are especially looking forward to trying the ones you see on our checklist of what we’ll attempt to eat and drink at Disney 24! I guess it looks like we’ll be rockin’ our Disney Foodie Side! Will YOU be attending the event this time? 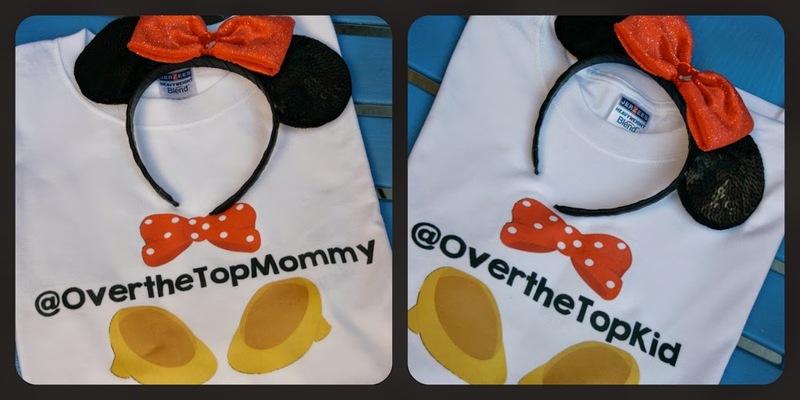 For live tweets from the parks, follow along with us on Twitter @overthetopmommy and @overthetopkid and @UptownDisneyGal. 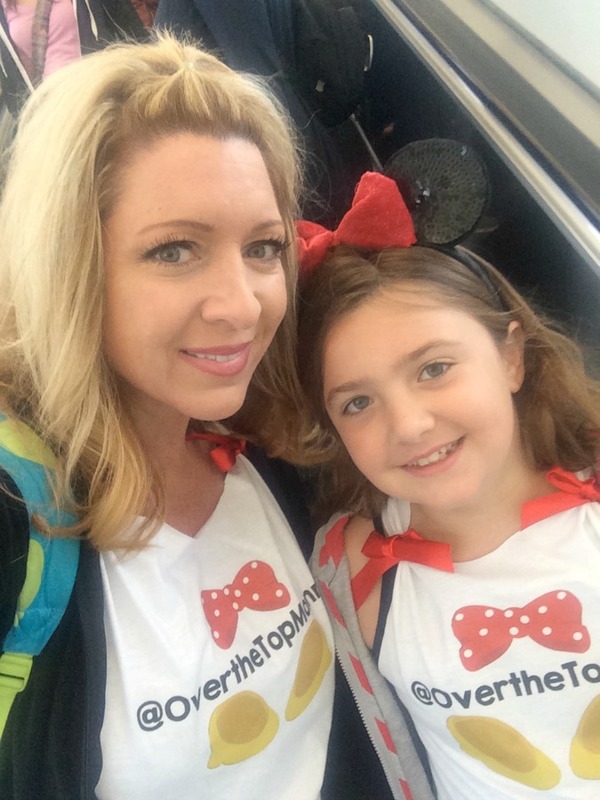 For pictures of our day, follow @overthetopmommy on Instagram. 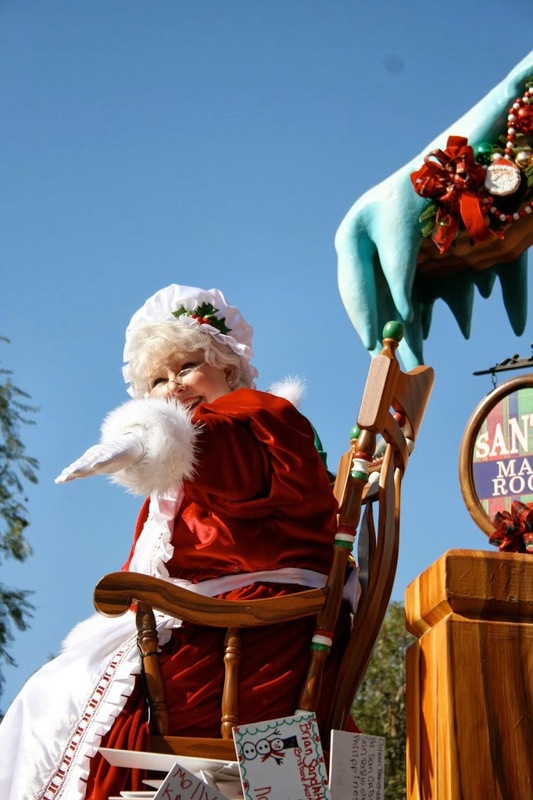 A Christmas Fantasy Parade is my favorite parade to watch at The Disneyland Resort. 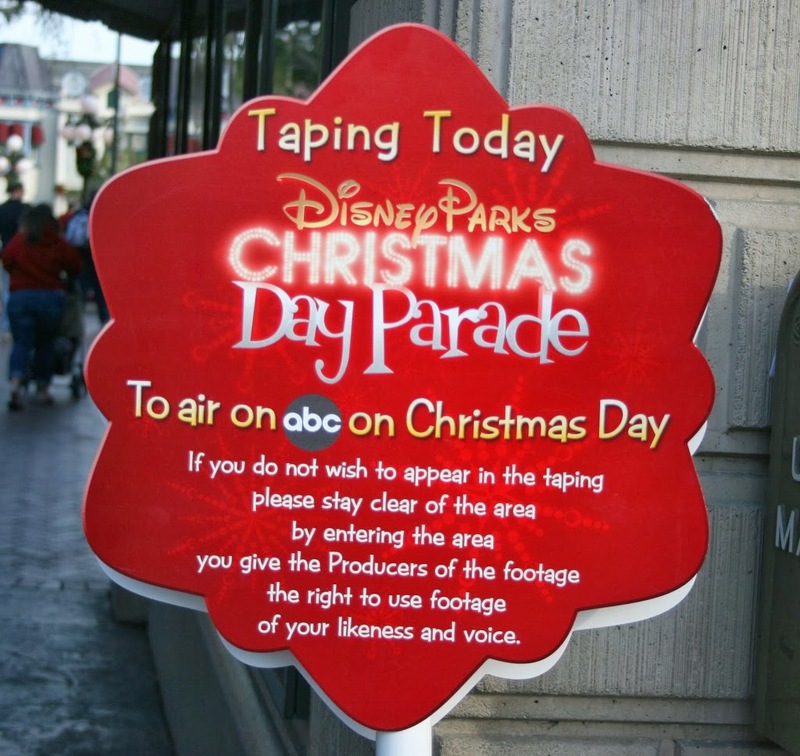 This year, Emi and I had the opportunity to be in the park on one of the days that ABC was filming for their Disney Parks Christmas Day Parade Show! 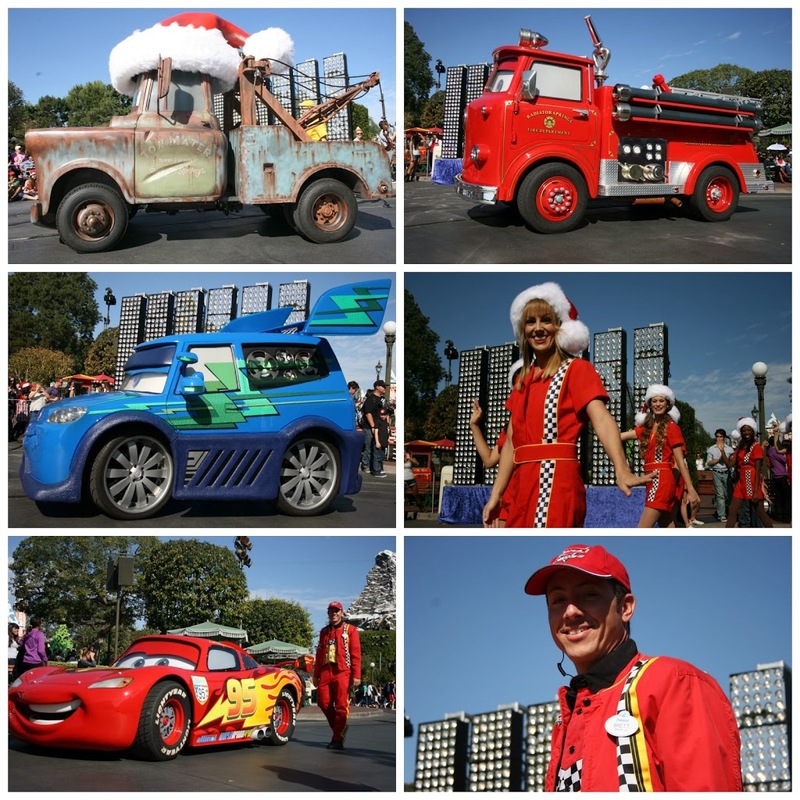 It was so exciting to be able to see things that aren’t normally in the regular Christmas Fantasy Parade. 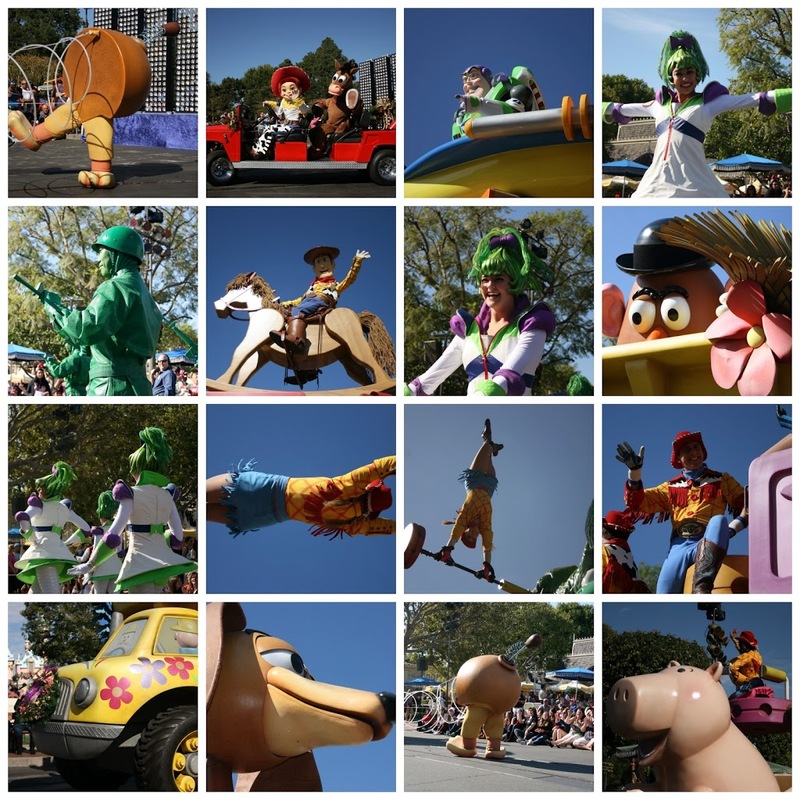 We loved seeing all of these characters from Toy Story, who normally appear in the Pixar Play Parade at DCA. It was also fun to see a bit of Cars Land over on The Disneyland Side! 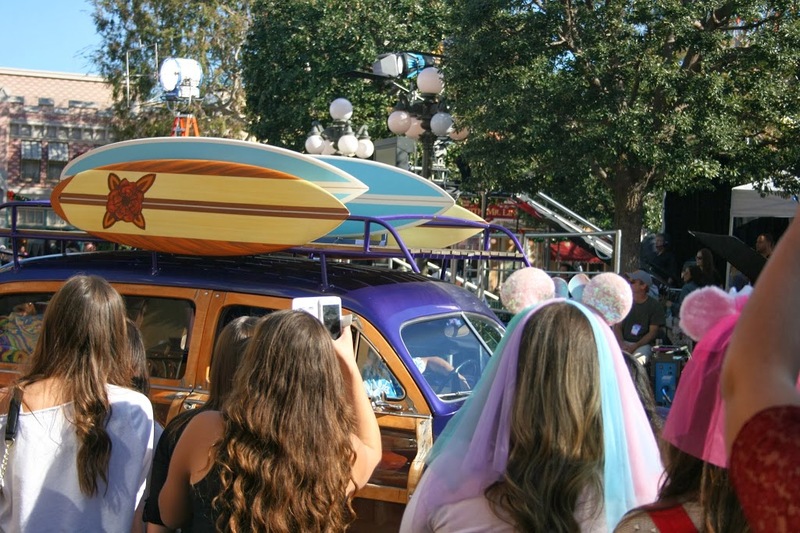 Although we weren’t able to sit in the area where all of the cameras were filming, we did secure a spot on the curb, right in front of Plaza Inn, which is where the floats and characters entered the filming area. 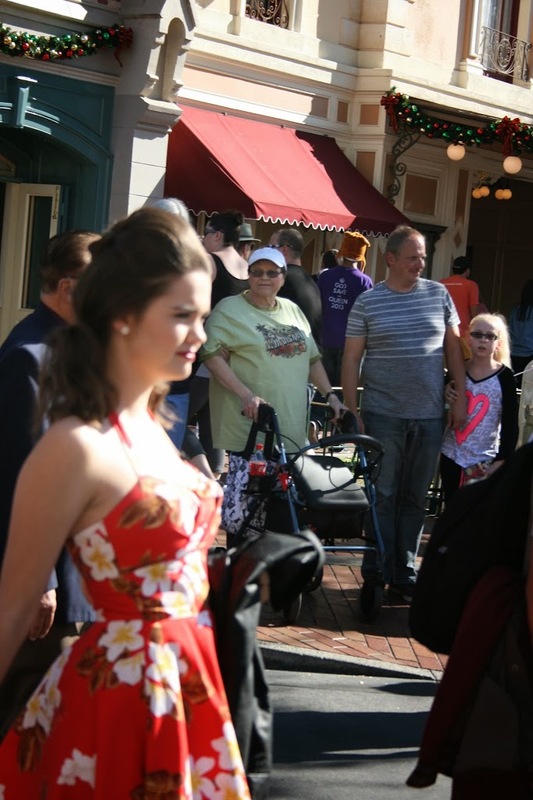 This meant that almost all of them had time to look our way and wave prior to entering the main filming area on Main Street, U.S.A.! What a great spot to be seated! This is one of my favorite pics. 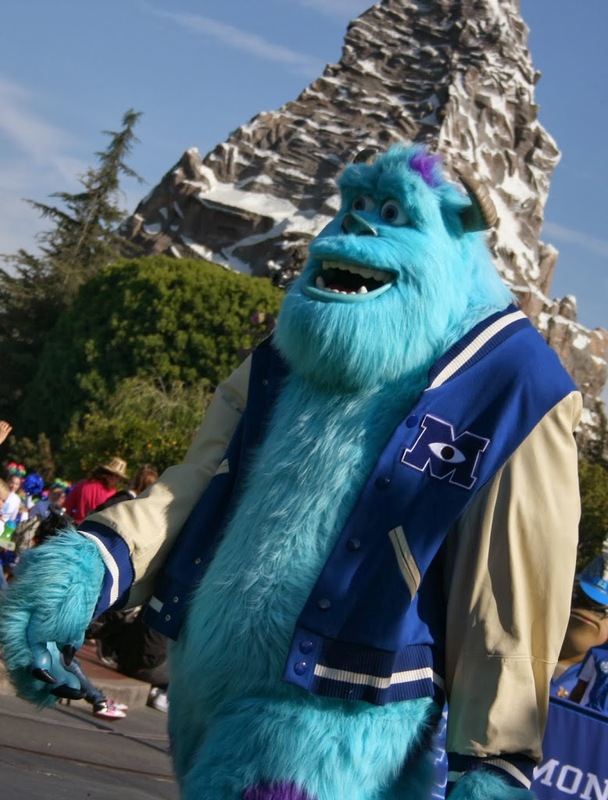 It’s just something you never see at Disneyland…Sulley next to The Matterhorn! It was fun to see all of the little guest dancers that were invited to dance in the Monsters University part of the parade. You can tell how excited they were by their big smiles! I always get excited for this part, which is the traditional opening of this parade. She’s my favorite dancer in the parade! Look at the giant balloon! So cute! 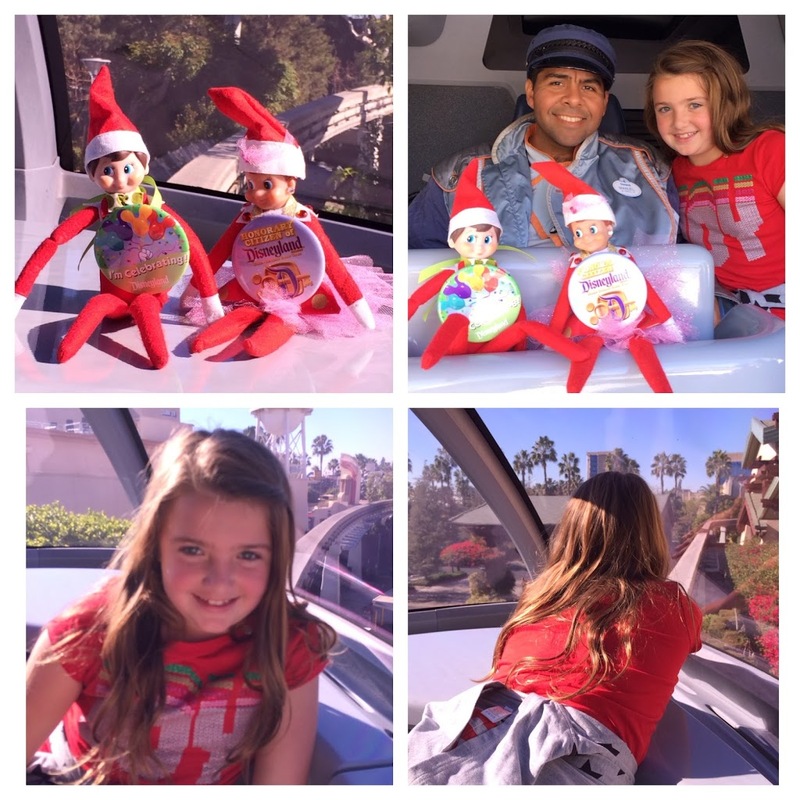 Emi loves these elves because she thinks they know her own elf on the shelf! So many smiley faces, so many great characters! 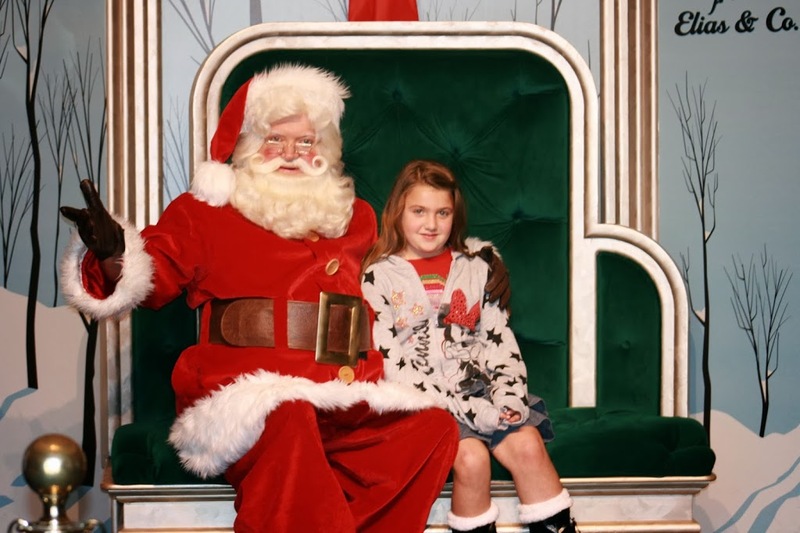 The First Lady of the North Pole! 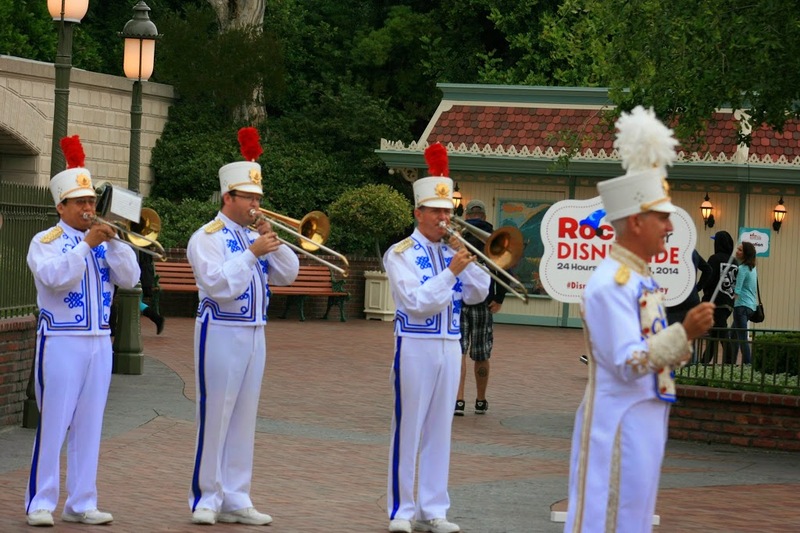 I adore watching this parade and notice something new each time that we do. I love the music, I love the costumes, I love the dancing and I love how much it reminds me of childhood. 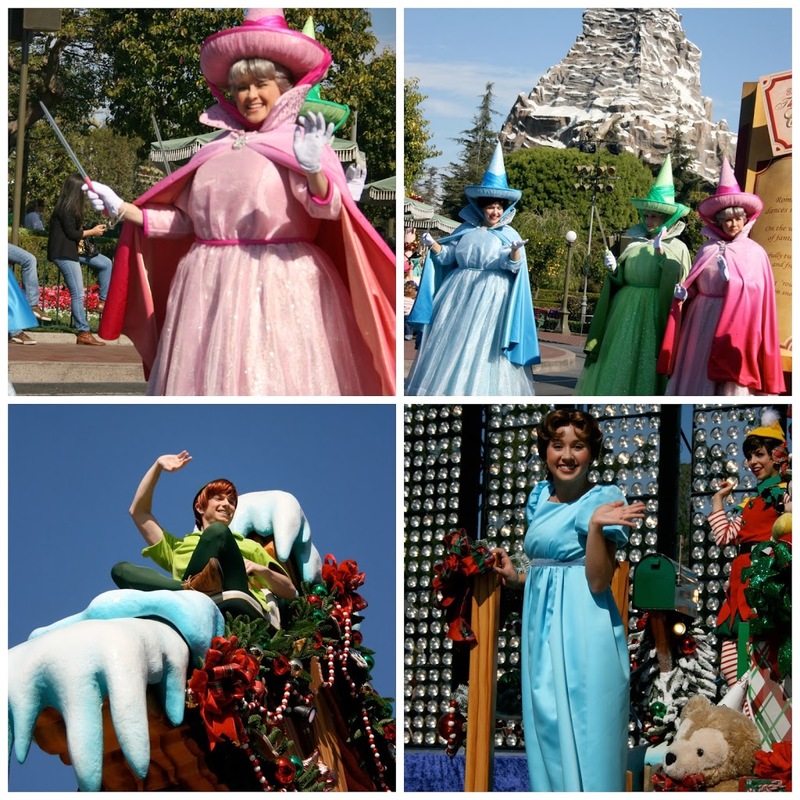 What’s YOUR favorite part of a Christmas Fantasy Parade?